What are the barriers and enablers to the government’s “ambition” to increase housing delivery by 2020? Dr Gheorghe Multescu inquires. The government has recently unveiled a very optimistic “ambition” to increase housing delivery to 1,000,000 new homes by 2020. In practice, such an ambition would require a consistent delivery of no less than 200,000 new homes per annum. Average house prices in Central London are in the area of £529,675 whereas average salary is in the range of £30-40,000 per annum. With a house price to income ratio of 13.25, many first time buyers are simply priced out of the market. The lack of affordable housing combined with prohibitive house prices in Central London is recognised by some policy makers and practitioners as a long-term threat. What are the barriers and enablers to this problem and what are the implications if this is not addressed in the long term? This article will look at three important aspects: housing economics, planning policy and the balance of stakeholders involved in the housing industry. Alongside planning policy, housing economics is a key factor in the government’s ability to meet its 2020 ambition. The housing market has shifted from a publicly controlled market back in the 1950s and 1960s to a market controlled by private sector large volume house builders. House builders controlled by private capital are mainly guided by business plans and the profit factor. Further to the 2008 market crash, such companies will not repeat the mistake of delivering more housing to the market than what a rather conservative and profit oriented market appraisal would dictate. In economic terms this means maintaining an undersupply in order to ensure high profits and reduce future risks. In case of a future market downturn this would allow volume house builders to reduce high leverage risks by quickly disposing of a limited number of new homes. Maximising the profits of house building is also driven by opening the Central London housing market to international investors. Central London housing developers found a very lucrative business by developing “high-end” luxury flats in prime locations. Such prime assets are now marketed directly to overseas investors at prices equal to Monte Carlo prime housing estates. Despite applying “affordable housing” quotas in line with Section 106 of the planning system, such property can be counted out of the housing market available for the London working classes. The current planning system may also contribute to the shortcomings of housing delivery. Unlike other European planning systems, the UK planning framework does not rely on master planning at local level in order to provide developers with detailed guidelines to what they can develop. Planning control is reactive in that it rather tells developers what they cannot do. Policy makers in each new government were quick to argue that delays in achieving housing policy targets were mainly a result of the inflexibility and excessive regulations of the planning system. As a result, new measures were hastily adopted – e.g. permitted development rights were adopted to allow changes of use from business to housing without assessing the longer term impact on local areas. Such quick-fix solutions – if applied – could end up with changing the entire City of London into a large luxury housing quarter without actually fixing any of the affordable housing shortage problems. Another constant driver of the debate around affordable housing shortage is the perceived shortage of affordable land required to develop new housing. A quick look at some Central London Boroughs would contradict such an argument. The London Borough of Southwark, for example, owns approximately 43% of its land. Other London authorities own between a quarter and a third of the land within their boroughs. Other large amounts of inactive land are owned by public sector agencies (e.g. TfL; Network Rail; MoD, etc). The shortage of land is a false argument which has more to do with a lack of policies to incentivize and enable local authorities, public sector agencies and private owners to actively release this land to be built upon. It seems obvious that besides policy and economics, the problem also lies with the current housing market stakeholders. The current ability of private volume house builders to influence the market supply needs to be complemented by an increased ability of local authorities to re-take an active leading role in housing delivery. Housing affordability is closely linked to the shortage of housing supply. A change in the structure and balance of housing market stakeholders could allow local authorities and a mix of local developers (including social residential landlords and housing associations) back in the driving seat. Such a move however needs to be supported through intelligent finance schemes to allow local authorities to re-finance housing development and retain part of the profit to be reinvested. A very important aspect in enabling more affordable housing is also innovation and use of more diverse technologies in financing, developing and building new housing schemes. Introducing mixed-use schemes could be a new way of co-funding housing schemes while retaining a commercial income to support new developments. But are such measures feasible and can the unaffordable “affordable housing” conundrum be fixed in the short term? 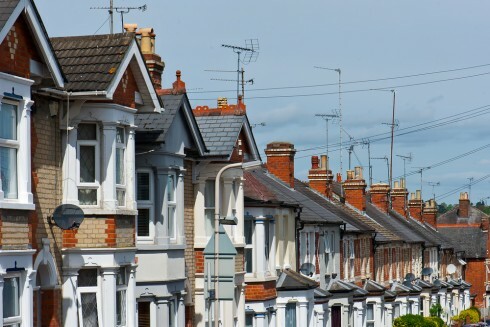 It remains to be seen if the government’s 2020 housing delivery policy will remain just an “ambition” or has the ability to change into a firm target. Dr Gheorghe Multescu (PhD MSc BArch DipArch ARB) is a Senior Lecturer and Course Director within the School of the Built Environment and Architecture (SoBEA) at London South Bank University (LSBU). His responsibilities include the role of Director of Internationalisation within SoBEA, Research and Enterprise activities as well as teaching postgraduate and undergraduate Construction, Property and Surveying students. His portfolio of research and enterprise activities includes leadership of a joint MBA International Real Estate (London block) course in partnership with Akademie der Hochschule Biberach (Germany) as well as Directorship of the London Institute for Real Estate, a newly established centre for independent applied research and academic excellence in the real estate sector. Connect with him on LinkeIn. Don’t miss Dr Gheorghe Multescu’s conference session Opportunities for mixed-use development at the 2nd edition of MIPIM UK. The panel takes place today, on 22 October 2015, 10:30 – 11:15, Red Room.